I remember when I was a teenager and saw the Mad Max movies for the first time. I remember thinking, “Wow, I sure hope that never happens for real”. Then I saw the fall of the Berlin wall, followed shortly after by the fall of communist Russia, where, although I didn’t see it firsthand, I heard about how difficult life became for the people of that country. That all gets me to thinking about how tough it was in Europe after WWII ravaged most of the countries. There was basically nothing left, people starving, cities destroyed, cold, hunger. People had to start from scratch again. If someone lived in an apartment in the city and their building got bombed out they either had to try to keep living in a destroyed building or they had to leave. If you seriously want to have an idea of how “teotwawki” would be, just look at history after a war. WWI and WWII decimated huge parts of the world leaving people homeless and starving. Smaller, more centralized wars like Korea, Vietnam, and the ongoing mess in the Middle East show how bad things can get for the innocent people caught in the middle. There will be two categories that will define TEOTWAWKI: events that can be prepared for and events that cannot. For that matter, although the war was not on our soil the American citizen still experienced harsh times during WWI and WWII due to rationing of materials and supplies so that we could fuel the war machine. My grandparents lived during that time. My grandfather was there in the mess in Europe. My grandmother told me about how they had to make do to get by, how the kids would go around and collect scrap metal in their neighborhoods and then the trucks would come around and pick it up, taking it off to be turned into guns, tanks, bullets, etc. They had to ration butter, sugar, flour, etc. to make sure that the men fighting overseas could be fed. So there you have it, economic collapse and war show us the harsh reality of “TEOTWAWKI”, so look to history to see what you may be dealing with if this happens to you where you live. Seriously, what will you do? How far will you go to protect your loved ones? My wife worked at a dental lab in the late 1990’s and there were people who worked there that were from some of the various countries that had lived under the shadow of communist Russia. They told stories about a very harsh life there. They would save up packaged condiments and napkins from the various fast food places and send big boxes of them to their families. They said even that little bit of nothing that we just threw away actually meant a lot to the people over there as trade-stuffs. For all intents and purposes, those people were living in an environment that we would now call “the end of the world as we know it”, or “TEOTWAWKI”. Hard times, harsh living conditions, struggle, hunger, these are all things that many people currently living in The United States have never experienced. Oh sure, some people here have experienced or may even be currently living in harsh times and difficult living conditions, but overall the last half century or so here have been pretty easy. Even still, many people already try to live a lifestyle that is self-supporting. They raise their own vegetables in a garden. They raise their own livestock or hunt to provide their own meat. They make their own clothes, fix their own cars, build their own homes, or in some cases cobble a vehicle together from junk and parts. All over YouTube you can see videos of people in Russia, or former parts of, that show homemade devices they have created. They built these things that were made from random bits and pieces of other things to perform various tasks. 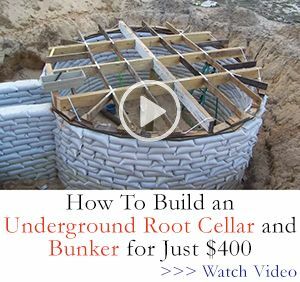 These videos are perfect examples of making do with what you have and filling a need by any means necessary. Like if you need to make your own lumber to build your home or a barn etc. you can build your own sawmill similar to this guy in the video here. One of the major decisions that will have to be made if you ever experience a “teotwawki” situation is whether to bug in or bug out. There are several factors to which choice you will make when facing this decision, the main thing of course is your location. If you live in the city the population density alone is enough to suggest that you bug out. Move on, head out, get the FOD (bleep outta dodge). Reason being is that in a population dense environment resources will be even scarcer while the risk of “bands of pirates” will be even higher. Consider this, do you currently know of anyone that is part of a group that says if the S should ever hit the fan they will team up together? Well guess what? If the S ever does hit the fan SHTF those will be the people that will be out looking for resources. By looking for resources I mean they will be out pillaging and you happen to have something they want or need and you aren’t too keen on giving it to them. It’s very likely that you will be killed. That’s just how it’s going to be. I’m not going to gloss it over and make it sound like it’s going to be some fun, wonderful experience: Because it’s not. It’s going to be a lawless time that the strong will take from the weak. A time that people will band together to survive, and if you aren’t with them, then you are against them and they will most likely kill you and take your stuff. By your stuff I mean if you have food, water, guns, medications, tools, women, yes, I said women. No one wants to think about these things but that’s going to be part of the harsh reality. Do you have faith in mankind and think everyone will team up to help each other? Well, I think you live in a fantasy world and you are going to be in for a harsh surprise if it ever happens. Bugging in means you will have a place that you want to stay, and like I said above, if you live in a population dense environment bugging in may not be the best idea. However, if you are lucky enough to currently live in the country on land, or you own land that you use for hunting, or you have family land that has been in the family for generations, then you are already one up on most people. Owning land is a very important element to long-term survival. Knowing your land and knowing how to live off of it NOW is another bonus. 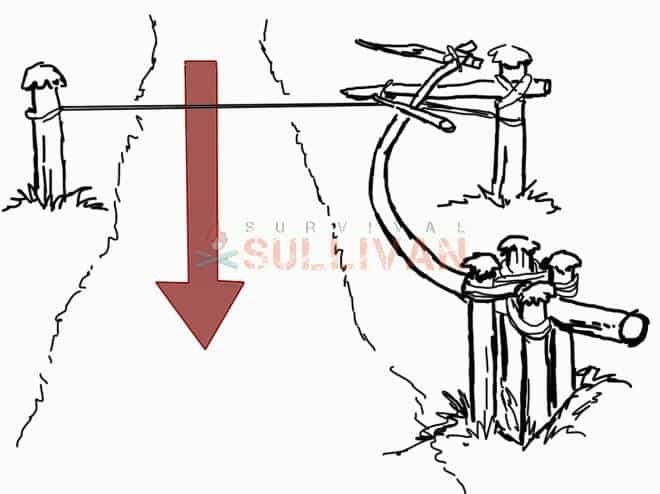 If you are really concerned with a SHTF scenario then you will already have many useful skills for that. You will already garden and can your own food. You will already have livestock and/or hunt and cure your own meat. 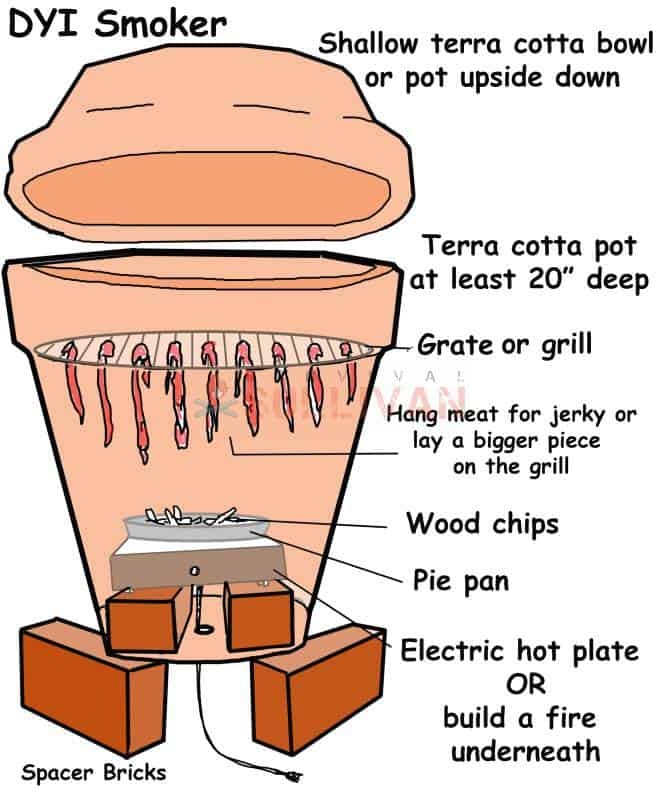 Jerky, sausages, salt cured meats (make a SHTF DYI meat smoker, see below); these are all long term storage foods that do not require refrigeration. Having a good well or spring water on your land is also important; you need a good source of water. A large pond or lake is good too as the water can be filtered to make it potable (potable means its fit for drinking). A smokehouse for curing your meats is good to have as well. 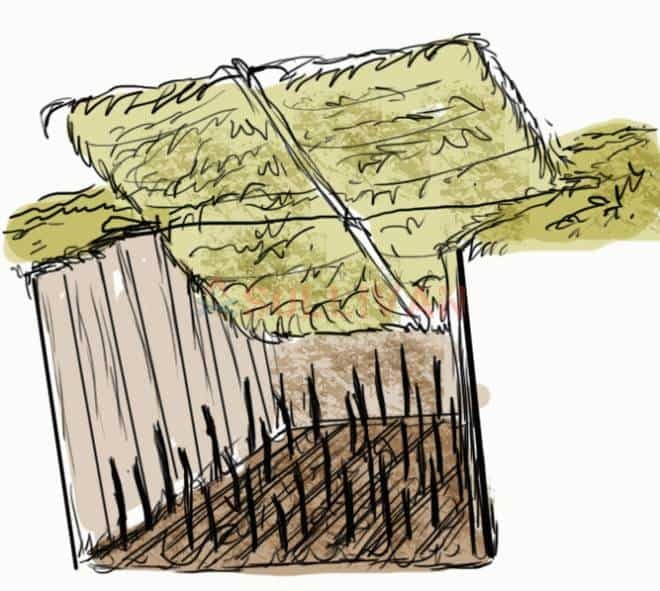 A dependable source of clean water can be challenging, so collecting and harvesting rainwater can be an efficient choice. You can use a barrel under a spout to catch rain water runoff from your roof, just be sure to filter out small particles and organic impurities with a coffee filter, cheesecloth or small screen. If you have a deep, natural cave on your land it can be used as a cold storage for your food stuffs, you can make a good, solid door on the entrance and even conceal it if you’re concerned about thieves. You can always booby trap it too. They can’t steal your food if they’re dead. A family that is close and works together to help one another is also a good idea. You can try having an organized group of people made up of friends but if something really happened can you really trust them to not shoot you in your head while you sleep and just claim everything as their own? If you have a spot like this, a place in the country that you figure on staying in, you need to think defensively. If a group of people who got together and bugged out happened to come across your little slice of heaven, what are the odds that they will want some or all of what you have? Perimeter defense and early warning systems are important here. If you have a close group, a family or whatever, that is living on some land you need to be able to defend it against people who may have ill will. There are a few ways you can go about it. Armed patrol is one way. Walky-talkies to communicate amongst yourselves and an armed patrol keeping vigilance over your haven are one possibility to keep you safe. The size of your patrol depends on the size of your group and the size of your land. Landmines are another option but they can be tripped by wild animals like deer. Having a bunch of dogs that roam around your land is a possibility but you need to keep them in close or else they will scare away wild game like deer. But right in close to your living area dogs are good. 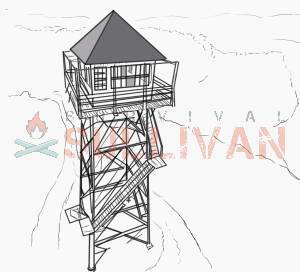 Another method would be to have a fire tower in the center of your land and keep a look out in it with a good rifle. For the most part they will just let people walk on by, but in the event that someone has already laid eyes on you and plan to come in the fire tower becomes a sniper tower as well as a watch to communicate the movement of the intruders so that you can greet the appropriately. The drawback to a tower is it can be seen from afar and may draw people to you that otherwise would not have known you are there. Basically if you have your own land and some good people that you can trust and work together you have to treat it like your castle, a military outpost. You need people with various skills. Carpenters, machinists, gunsmiths, gardeners, holistic medicine, medical training, etc. etc., in other words you need to create your own village and protect it. If, however, you have land but you are alone or just have a couple people then you all need to learn how to do everything that will ever need done. Defense becomes more difficult but not impossible. Always stay armed, keep the perimeter fenced and have it wired so if it is disturbed you will be aware that someone has crossed your “safe zone”. Booby trap the hell out of the perimeter, man traps, punji pits, these are all good to know how to make. Bugging out, many of you say it, you talk about it, but do you really understand what it means? It means that you leave behind everything you know or knew and you strap everything on your BOV (bug out vehicle) if you plan to use a vehicle. Let’s look at that. If you plan to use a BOV and you have, oh, let’s say a ton of goods strapped to it, what will you do if the vehicle breaks down or you run out of fuel, or you get to a spot that you cannot pass in your BOV? What then? You’re on foot is what then, and you can’t carry a ton on your back. If you plan to use some form of BOV I would suggest that you look to the jungles of Vietnam during the Vietnam War. The VC and NVA often used bicycles laden with supplies as an easy means of transport. They rarely rode the bike, sometimes they did, but they usually pushed the bike loaded with gear. They could carry way more gear on a bike than they could carry on their back and the bike didn’t require fuel. If you did that you carry a backpack with your basic necessities, like a 3, 4, 5 or even a 7 day pack on your back. You carry your weapon and some ammunition, just in case you have to ditch the bike. Some people say they will use a 4 wheel drive truck or a motorcycle (dirt bike) but these require fuel and they are noisy. If you’re on a dirt bike, someone will hear you coming and be ready for you and you will likely have no idea that they are there because you can’t hear anything but the loud motorcycle. Then you become a “goods donor”. If you choose to bug out, you have to be healthy and strong because you will be doing a LOT of walking carrying a LOT of weight. You likely will do a lot of fighting too because you will most likely come across someone that chose to bug in and they are going to view you as a threat (or a “goods donor”, or even food if times are tough enough) or you may encounter other “out buggers” that may or may not want to take your stuff. 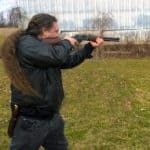 If you really want to know how to prepare for any SHTF or TEOTWAWKI situation the reality is you better be ready now. Waiting until something happens is too late. If you are seriously concerned about this then rather than buying that new pleasure boat or going on that vacation spend your money on supplies. Spend your money on land. Land is always a good investment anyway. Spend your money on books that tell you how to do anything that you may need to know. You know all that stuff you have stored in your computer for “just in case”? How will you get to it if there is no electricity and no way to charge your laptop? Physical books will see a rise in importance with no schools or organized teaching. Better buy solar charging cells so you can access those files, or go buy a cheap printer and some reams of paper and print it all out and make yourself some pamphlets. You need some way to access that information when the time comes. On that note, one of the biggest challenges in a post TEOTWAWKI world will be generating day-to-day power with the simplest way being the sun. While many things will regress to being DYI and being made by hand, we do not need to throw out everything post-1800’s. There are many solar powered devices that can be utilized to help us generate as much power as we can, the best being the solar panel. They can be expensive if a good size with batteries for prepping, and hard to find when TEOTWAWKI hits. 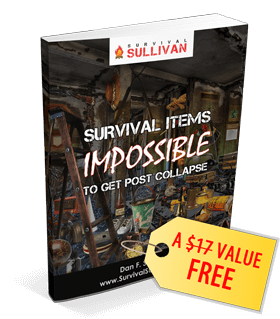 That’s why it’s best to make a survival plan by knowing how to get them by scavenging these life saving devices. If you have 100% faith in your government then don’t worry about any of this, everything will be fine. If, however, you are among the more sensible people that feel like one day they may be on their own then buy supplies for just such an emergency. Dedicate 10% of your income to stockpiling supplies, dry goods, food, medicine, water and water treatment supplies. A pond, lake, or even a swimming pool can be a viable source for water storage. You need weapons, ammunition, knives, axes, hatchets, shovels, pick axes, saws, just tons of tools and goods stored for just such an emergency. You need medical supplies, antibiotics, pain medication. Real pain meds, (not aspirin or Tylenol), may be difficult to come by but if you can get some to put up it’s a good idea to have it, watching a loved one suffer in agony is never fun. However keep in mind that possession of narcotics without a prescription is a felony in many places, but if society has collapsed you might be able to find or barter for some. Make sure to know, and teach anyone you are with, the basics in CPR and first aid. In a post-TEOTWAWKI world with limited medicines and antibiotics, an unattended scratch or scrape can lead to serious consequences. A surplus field surgeon kit can be found online fairly cheap and is also a good thing to have, but you need to know how to use it. Learning the art of negotiation will come into play, as the need to barter may be the only way to get what you need when money has no value. The best bartering supplies usually have long shelf-lives, and you can stockpile the ones you do not use. 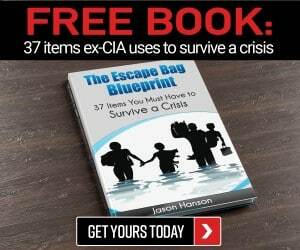 You can bet someone will want and need them and gaining leverage by having a range of supplies can only help when you run out, or need something to open doors. It would be wise to collect anything you find abandoned in stores or dwellings, or even left on the trail for future trades. It is a good idea to have a physician’s desk reference book for drugs so you will be able to identify medications that you might happen to come across. This can be handy not just for narcotics but for other medications as well. If society collapsed you will need to know so much information that you’re not even considering right now. Having a library of books on edible and medicinal plants is always a good idea, just like having books to know how to filter water and cure meat, all of this information has to be on hand. Information and knowledge will be as vital to your survival as food and water. If you really want to be ready if the SHTF then start preparing yesterday. silly arguments. A potential breakdown is not a sufficient rational for avoiding a “bov”. Having a backup plan is a better idea. One that may include a bicycle, perhaps but better to find a way to move a disabled vehicle rather than abandoning it. Just as an example.. Thank you for reading the article. However, your comment is baseless. A vehicle requires roads. most will become impassible and they will be used to blockade and capture people in vehicles and take their supplies. It’s a high likelihood the people will be killed. The men at least. Women, sadly, will have value for barter and trade etc. The smallest footprint you can make, the better off you will be. A vehicle loaded with supplies is not a small footprint. I am all for the BOV, for the other guy. Where else will I find a concentrated stockpile of supplies when there are no more stores? Realistically, in a SHTF/TEOTWAWKI scenario there will be total chaos. There will be no stranger and very few friends that you can trust. The less visible you are the better because if someone can see you before you see them then you and your heavily laden BOV will become donors to their cause. People are bad. No one is going to extend a hand to help you. A bullet through the windshield will be your hello, and good bye. It is not going to be pretty, it is not going to be easy. Most people are not going to survive. You definitely will have to kill another human being, if you hesitate, you will die, they will have your stuff. Everything will be for sale, including people sadly. I write my articles to try to be informative and polite. But there is an underlying harsh reality if any of these things ever happen. Your neighbor that you wave to and say “hot out today, huh”? or, “how’s the wife”? will become one of your greatest dangers. There is power in numbers, if you are alone now, you will be alone then. If you are a member of a club or some type of organization that gets together monthly and everyone knows each other, you will fare better because you will all get together then. If you have several, or even a just few good friends that all think alike and all have agreed to do X, or meet here or there, and etc etc, that’s a good thing. It’s even better if most, if not all, of those people are combat vets, hunters, mechanics, nurses, machinists, carpenters, welders, gun smiths, etc etc. SKILLED people. Then you may have a chance of surviving. Anyway, this was todays dose of reality. Let’s all just hope and pray it never happens, although it has/does. I would like to add, I just saw a commercial on television for a show coming up on the History channel. 25 years since the LA riots about the whole Rodney king thing. Here are some videos https://www.youtube.com/results?search_query=la+riots+1992 this is the chaos when a small percentage of a society takes to the streets for violence and chaos. How bad do you think it will be when EVERYONE does it, EVERYWHERE? but I don’t live in a big city, and the woods are just out my door. Eric, 3 replies in a row indicates a certain amount of insecurity to vocalpatriot comment. RELAX! While his “silly argument” comment was a bit disrespectful, the basic suggestion of a plan B is sound. Moving a disabled vehicle or trying to get off a blocked freeway seems less likely? In any case, I found your article a good read and is so much more than just a BOV discussion. So again don’t sweat it. For those who drop down to the comments to see if an article is worth reading or not? Let me just say, that there is very good information in this posting and you will learn a lot, if you read and digest it in it’s entirety. Never focus on but one aspect of what you read, as you will ultimately lose the nuances of the writers thinking. Good article. Lots of information and thought provoking stuff. Forget all the stupid stuff others say, just keep it real.